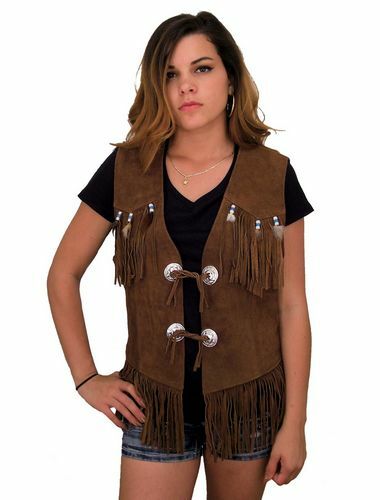 Click here to check out the newest ladies naked cowhide leather vest! Hey guys! Well it looks like a great day to be showcasing yet another unique item here at Leather Supreme. I wanted to check in with all of you and display a ladies braided style leather vest with leather side laces this morning. 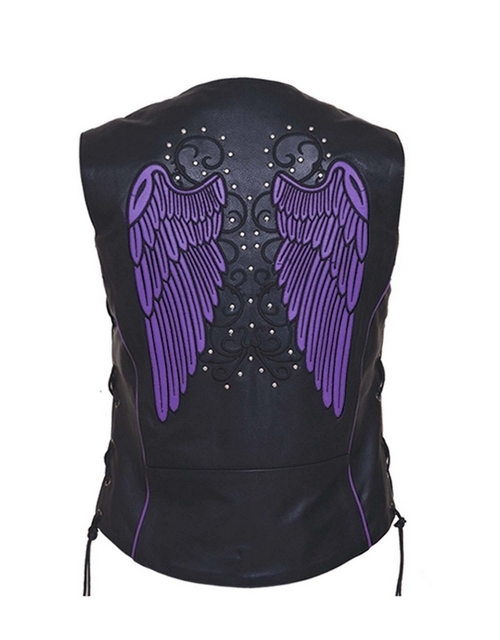 Click here to find out more about this beautiful womens purple leather vest! Purple and black, when worn together, make a bold fashion statement that’s all but impossible to ignore. When the two colors are leather garments, the effect can be dramatic. Such is the case with Leather Supreme’s black and purple fringe leather vest for women. The purple leather vest is made of soft, supple cow leather of the best quality. Because of the nylon lining, the vest is super easy to slip on and off. The main body of the vest is black, and the yoke is purple. Black and purple fringe adorn the bodice, and more fringe can be found along the bottom hem of the vest and on the sides of the vest. The back of the vest also sports fringe. Click here for this great womens leather vest! Today I wanted to show you a new womens leather vest I’m adding. Yes I’m actually working on putting leather vest in here, finally! I’m starting with the womens vest and should have them done in a week or two. 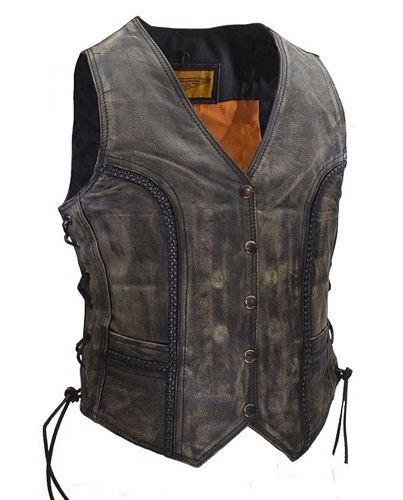 This beautiful womens leather vest is a little different than normal vest. That’s because it has a nice styled collar on it. It makes it look a lot better I think, adds a touch of style to it. It also has a zipper front instead of a snap button one. That makes it look a bit sleeker I think, especially with the styled collar. It’s a trim fit and made with very soft and smooth split cowhide leather. It has no pockets, as it’s made to look tight and trim. It has a nylon liner for a smooth inside feel. This is a great womens leather vest when you want to wear one out to the clubs or just look really sharp. I will have a good 20 or 30 womens leather vest once I’m done, including pink and white ones, western fringe style, Indian dress style and lots more in sizes XS up to 4XL.